Beyerdynamic DTX 501 p review | What Hi-Fi? Insightful, dynamic and utterly engaging, the Beyerdynamic DTX 501 p headphones are one of the best-sounding portable pairs we’ve heard at this price. There is oodles of detail on offer, and these ’phones deliver the harmonies and vocal nuances of any song with authority and ease. Voices are intimate and expressive. You can hear every intake of breath and quirk of intonation as if the artists are singing right next to you. The sound is wonderfully balanced, with clear, open highs and a satisfyingly deep bass that’s never out of shape. There’s muscle and weight behind Alice Cooper’s Poison, while the haunting tone of The Unthanks’ Gan To The Kye is conveyed with poise. The DTX 501 ps offer plenty of space for the song to unfold, with individual instruments easy to pick out and follow. The rich, melodic presentation isn’t masking any subtleties or lack of precision, either. These are astonishingly articulate headphones. The Dead Weather’s I Can’t Hear You can flummox even high-end headphones, but the Beyerdynamic's surefooted sense of timing confidently handles that taut, punchy rhythm and maintains the slow build-up of suspense. Controlled, capable, yet still managing to have fun, the 501 ps are hugely engaging and entertaining. We wish we could be similarly enthused about the fit and build. These cans are flexible, light and have a folding mechanism that stows away the rotating earcups, making them easy to carry, but the headband is a touch too loose and too big. The grip would be perfect if you could adjust them to a smaller size, but as it is they never feel secure on your head. We find ourselves constantly nudging the (very comfy) earcups up to make them fit better. We tested the 501 ps on all sizes of heads in the review team, and everyone said they’d want another notch or two of tightening. If you sneeze, they fall off – rather dramatically. Another crucial element for a portable pair of headphones is the inclusion of an in-line mic and remote cable. The Beyerdynamics don’t offer any controls, which is fine if you don’t need them, but we think it’s a glaring omission considering rivals at this price – from AKG to Yamaha – all provide the option to control music playback and take calls. We’re charmed by the sound quality here. The subtle, fluid melodies and beautifully judged balance are lovely to hear at this price. But sound isn't the full story, and the 501s don’t quite pass the test when it comes to portable use. The loose fit and lack of in-line controls mean they just miss out on a perfect score. 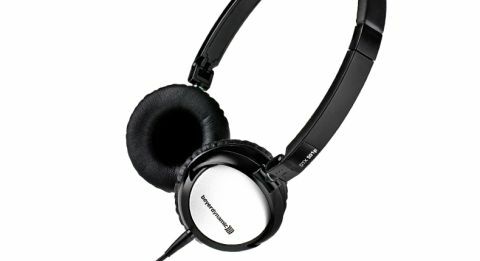 But try them on for yourself: these Beyerdynamics sound far too good to be ignored.